Artist’s rendering, Tournament of Roses “Grand Prize” winning float for Standard Oil of California by Isabella Coleman, Pasadena, California, 1936, lent by Phoenix Decorating Co. 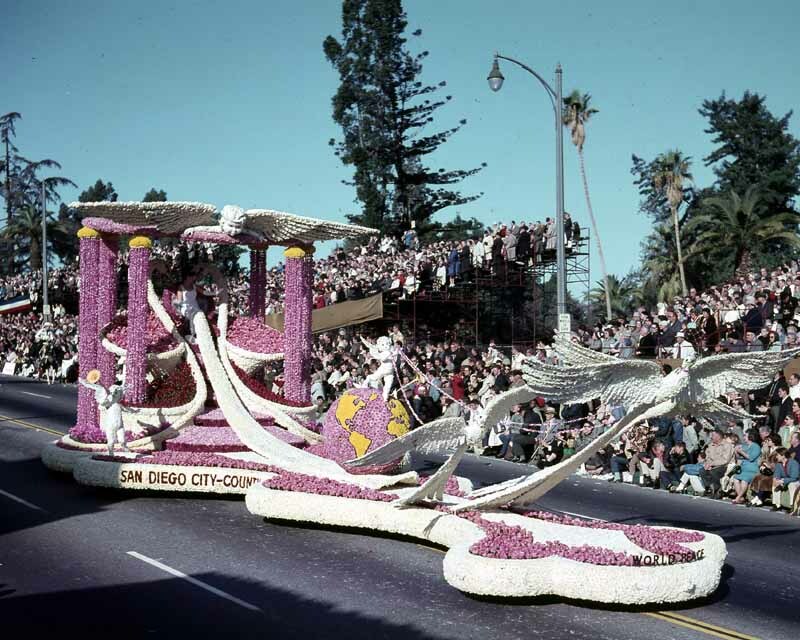 Float builder Isabella Coleman helped establish the floral extravagance of the annual Tournament of Roses Parade held on New Year’s Day in Pasadena, California. 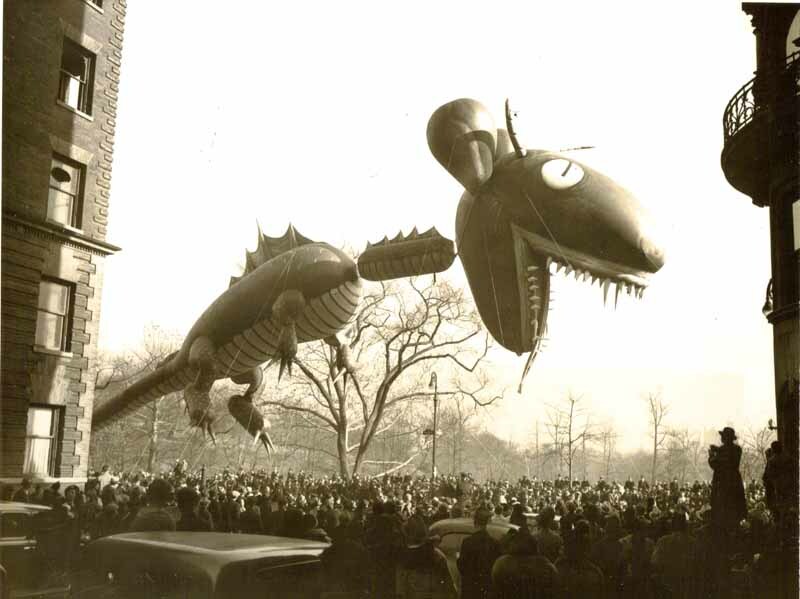 In the parade’s early days in the 1890s, float builders wove or tied fresh flowers to their vehicles. 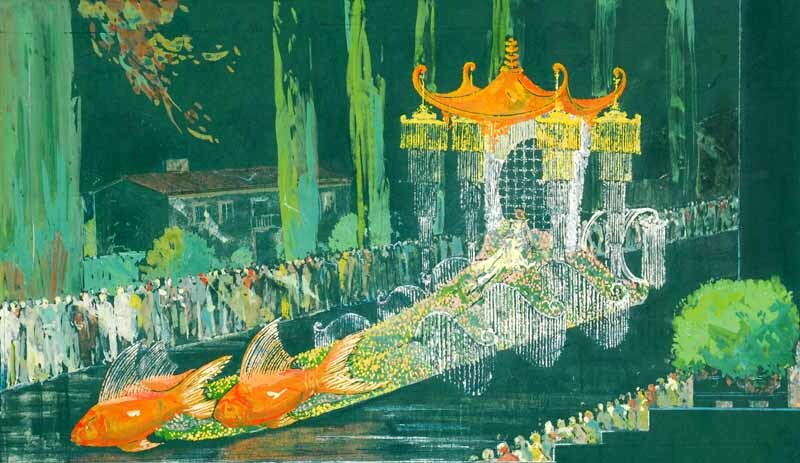 Coleman turned the event into a tsunami of blossoms. 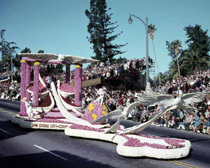 Coleman’s ideal float was self-propelled, low to the ground, and covered with fresh flowers. 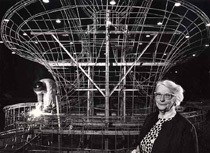 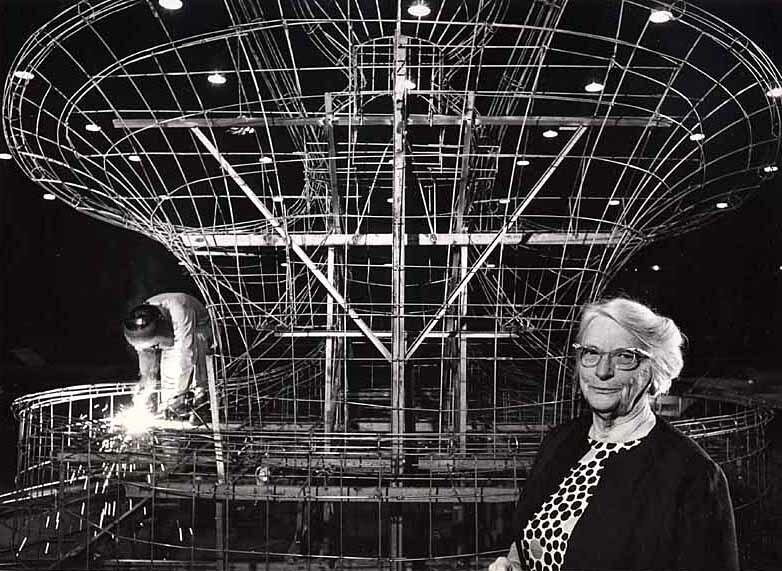 She excelled in designing steel undercarriages welded to truck frames, with hidden cockpits for drivers. 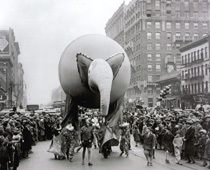 Small-diameter airplane wheels made the float appear to hover just above the street. Macy’s held its first Thanksgiving Day parade in 1924. Balloons debuted in the line of march in 1927. The first of their kind, the balloons were the brainchild of Tony Sarg, the celebrated children’s author and designer of marionettes. 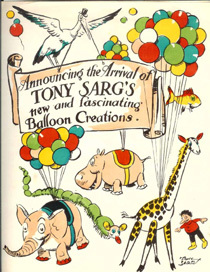 Originally, Sarg’s balloons were inflated with air and carried on poles.